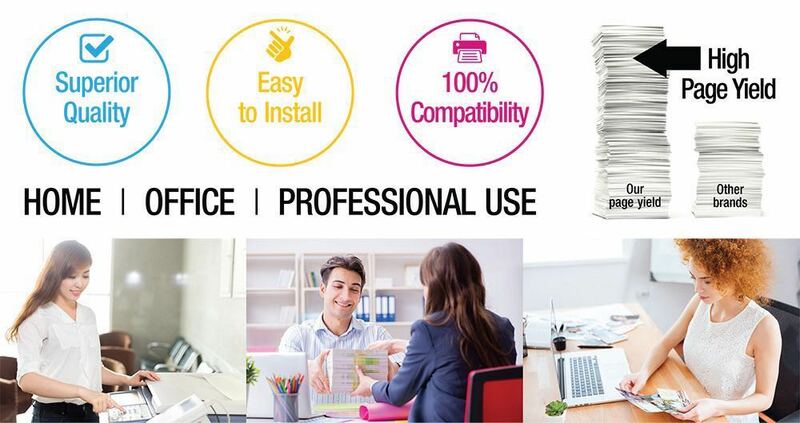 Compatible TN420 Toner Cartridge Black Print high-quality documents photos and graphics. The rich black ink gives your documents a crisp clear professional look. This cartridge can yield up to 2600 Pages before needing to be replaced and installation is fast and easy. This Compatible toner cartridge is easy to install in your machine so you can spend your time doing more important tasks. Since it yields up to 2600 before needing to be replaced this toner cartridge allows you to do multiple projects without having to worry about running out of ink. The Brother TN420 Toner Cartridge Black is compatible with multiple Brother all-in-one machines Brother fax machines and Brother laser printers. We have ordered this Brother toner cartridge several times and have had no any problems with them. It last a long time and the colors are perfect. Easy to install. had Ink in it. prints nice. not much more you can ask of an off brand toner cartridge. I have used this and it works well and I am pleased. The price is very good for good toner cartridge. None of the problems you usually have with after-market or reconditioned toner cartridges. Awesome price and great quality. Works great and is just what I needed for my Brother printer. I will keep you in mind next time. Very nice I will be back. Tremendous value speedy shipping.